These funny little day-active geckos look like their heads and bodies were made from different plans. 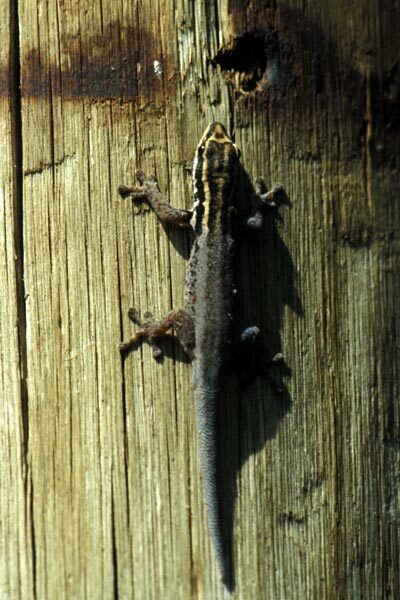 Apparently only the males look like this; the females are reputed to be nondescript. I must have seen only males. 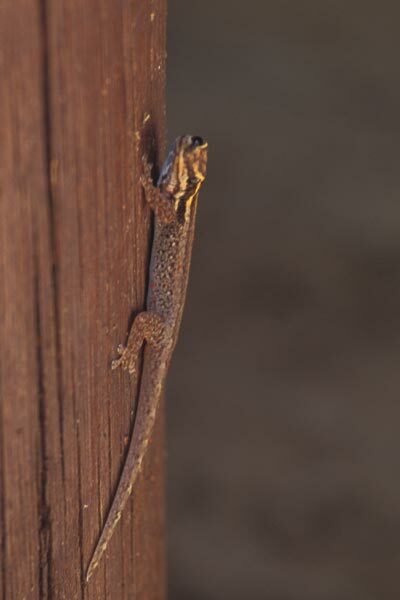 The new East Africa reptiles guide uses "Yellow-headed Dwarf Gecko" as the common name for a different species, Lygodactylus luteopicturatus. These two species were considered a single species until 1964. Dr. Arnd Weyers of Dresden has written me to suggest that these photos show Lygodactylus mombasicus, which is considered to be a subspecies of Lygodactylus picturatus by the few references I've found on the web. A recent paper by Beate Röll of Ruhr-Universität Bochum lists L. mombasicus as a full-fledged species. I'm trying to find out more about this before I change the classification listed here.